When you go on vacation, you look for the most relaxing place within your budget and one that will meet your family needs. So why not find the best place to meet your pet's needs? Doggie Dude Ranch is that perfect spot for your best friends. We cater to whatever your dog needs---from meds to a special diet. Maybe it's a swim in the small pool, a snack, a long nap, a run around the yard, or just watching an animal video. So when you are having fun on your vacation , so is your pet. Most of all, your dog gets TLC. We love whatever beauty comes through our doors:x-small to x-large. We do not discriminate; we have enough love for all! 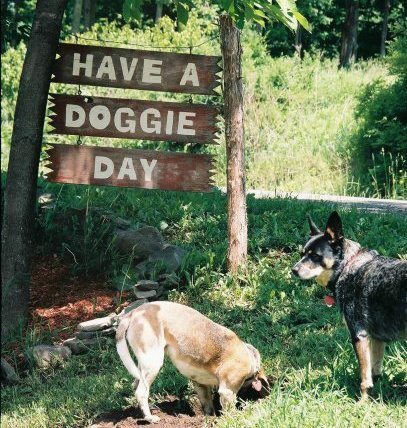 So if you are looking for your dog to socialize a little, Doggie Dude Ranch is your pet's place to be. The Doggie Dude Ranch LLC was established in 2003. Courtney has extensive experience working on ranches, helping with and raising an assortment of wild and domestic animals. She saves strays and has 2 cats, 4 dogs, 1 horse, 4 goats and a couple dozen chickens. Courtney is certified in Animal CPR ( Red Cross Certification) Member of the American Kennel Club Association, SPCA Board Member and an animal Rescue Volunteer.